Somewhere in the heart, there is always a dream that awaits to be realized. Let illustrator Crystal tell you hers. 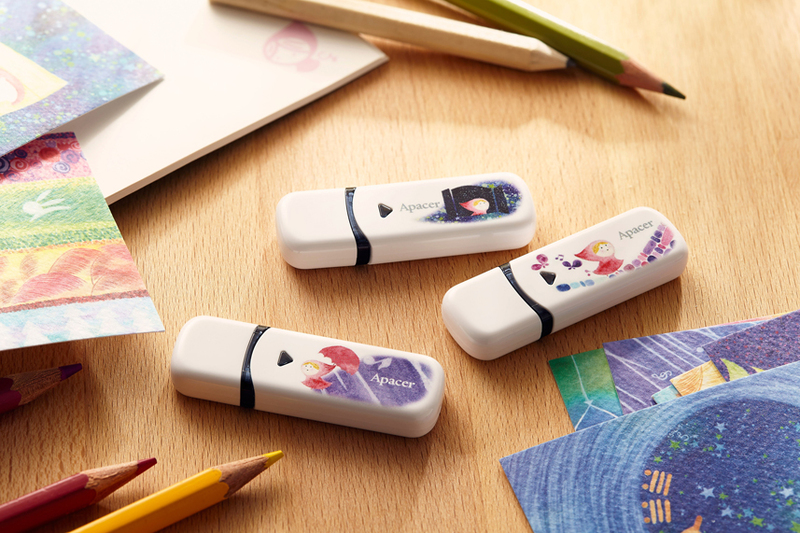 Apacer’s recent collaboration with the artist results in a lineup of 3 amazingly adorable flash drives and an external hard drive that are filled with inspiring messages. Officially titled Apacer x Crystal AH333, these fairytale styled flash drives bear her signature little-red-riding-hood figure with a soft color palette, each themed as “Turning Point”, “Perseverance”, and “Chasing Dreams”. 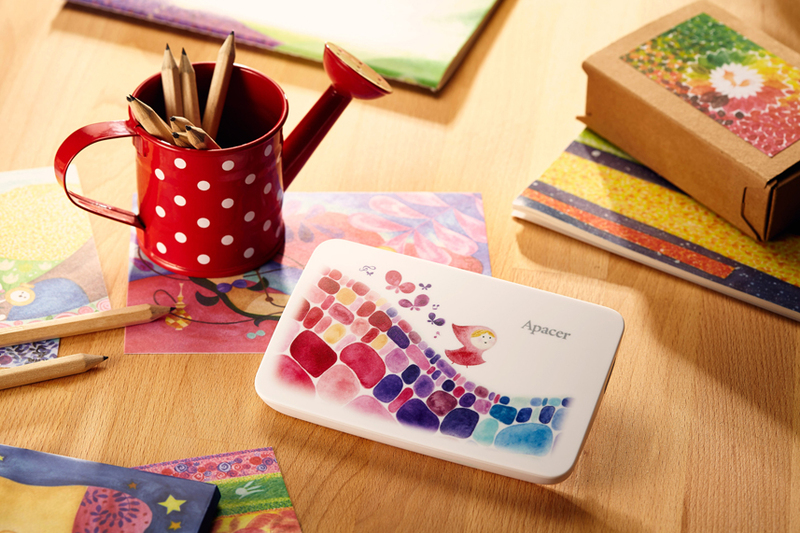 AC233, an 1TB USB3.1 Gen 1 external hard drive, is also themed with “Chasing Dreams”. Crystal’s identity as an artist started as an unexpected one. As a straight-A student who felt lost when graduate school entrance exam result turned into a bitter pill to swallow, she went through a dark stage that became the turning point in life. By listening to her inner voice, she saw the girl in the red riding hood within her that looks into the vast starry sky. Without formal training in art, the journey as an illustrator started out somewhat wobbly. But perseverance is what guides the red hooded girl forth. By holding on tightly to her rainbow colored umbrella, she walked through drizzles of rain and pouring ones, as well as storms. Courageously, she takes her steps and moved forward. Dreams can easily slip by. For Crystal, what may be assumed to be dimmed suddenly caught people’s interest. The rippling influence proved one thing: by holding on to the dream, keeping each step steady despite the bumpiness, at the end, it will happen! The red-hooded girl decided to take big steps on her colorful journey, ready to head into a bigger start. The Apacer x Crystal series is available in flash drives of 16GB, 32GB, and 64GB, and an external hard drive of 1TB. Let the ideas of turning point, perseverance, and chasing dreams be the inspiration for your inner voice. These sweet drawings will warm up your day in the most soothing way.